You are a brand that is investing in traditional print media promotions such as newspaper/magazine advertisements, outdoor advertising and promotions, or other creative print-based campaigns. No matter what digital marketing pundits say, these traditional marketing practices still bring a lot of sales. But did you know you can add another dimension to your current marketing practices to increase your conversion rate? We call that dimension—QR Code Marketing. By adding QR Codes to your print media marketing campaigns, you can engage your customers with dynamic online content. This will not only help you stand out from all the marketing noise but also help in increasing brand recall. Let’s get started on how to integrate QR Code advertising into your existing print media campaigns. This is the most popular use case of QR Codes – driving traffic from offline print media to the brand’s website. Or any other relevant content for that matter. Interested customers have an option of visiting your website if they are intrigued by your marketing message. The QR Code will link to your website address. When scanned, the website will open on the scanning device. Earlier in 2016, Ready Player One’s movie trailer had a QR Code. 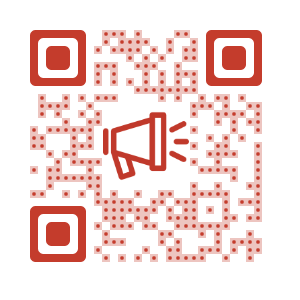 This QR Code redirected people to the official website of the film. 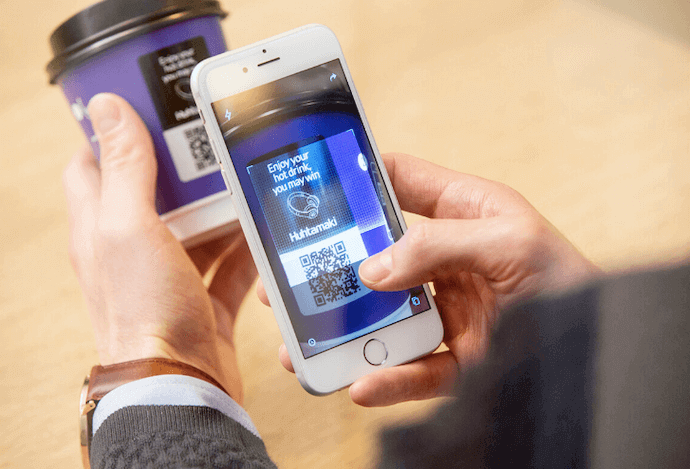 In 2017, a Finland based global food packaging specialist—Huhtamaki—came up with QR Codes on single-use paper cups. The QR Code, when scanned, redirects customers to promotional content or website. Expert tip: Make sure your potential customers have a reason to visit your website. In your marketing message, it should be clear what incentive they have for visiting your website. This is another commonly used QR Code marketing technique – acquiring social media following from offline print media. In your advertising, add a QR Code that leads your potential customers to your social media pages. That way they have an option to immediately Like your Facebook fanpage or Follow you on Twitter. 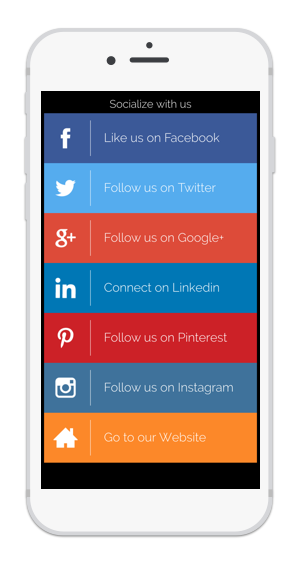 For small businesses, this works well if you communicate with your local audience primarily via social media and you don’t have large marketing budgets. People love such businesses and will follow you immediately when they visit your stall at the local market or your little store around the corner. In 2017, the authorities in Ethiopia and Great Ethiopian Run organised ‘Because She Can’—an all women run. The run used QR Codes to gain followers on Facebook. This one is pretty obvious and extensively used in the consumer electronics, healthcare, and food service industries. How to use the product (recipes, features, etc. Also, businesses can add QR Codes as point of attraction to a product. For example—on Valentine’s Day 2015, Tussock Jumper Wines placed a QR Code on the neck of its wine bottles. The buyer (gift giver) could then scan this QR Code to personalise it by adding image, vide, text, etc. In addition, Kitkat added a QR Code on the packaging of chocolates to engage customers. This QR Code, when scanned, redirected buyers to watch a video on YouTube as they took a break. See how brands and businesses use QR Codes to enrich Black Friday Shopping. Offline referral marketing directs people from offline to online content. For example—Kate buys a watch which has a concealed QR Code. She scans it registers with the brand. When she wears the watch to her office, one of her colleagues likes it and wants to buy the same watch. So Kate shows her the QR Code and asks her to scan it. As her colleague scans it, she gets a 20% discount and places an order. Hence, Kate gets her incentive for helping the brand sell its product. Offline referral marketing helps businesses convert word-of-mouth marketing to sales. One can think of it as ‘invite only’ marketing, but offline. Let’s say your target customer visits a mall with friends. While some of them are busy window shopping, she finds a QR code on one of your promotion creatives. It’s a surprise Christmas gift from your brand. She scans it—well because she is curious and who doesn’t like surprises. In an instant, she is the owner of a 30% discount m-coupon. The Vantiv ShopTalk Survey, conducted by Socratic Technologies, surveyed 500 consumers in Nov 2016. The survey aimed to understand their experience and preferences on redeeming offers. As per the survey, 24% Millennials and 18% Gen Xers preferred scanning a QR Code to redeem an offer. 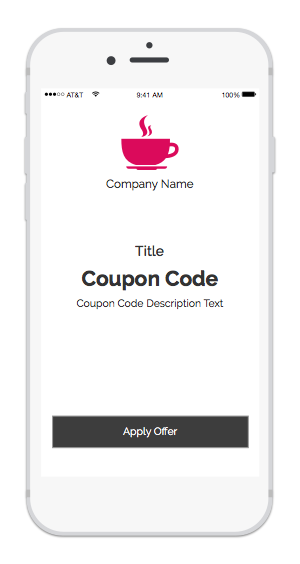 One can easily create an m-coupon landing page with Scanova QR Code Generator. In 2018 Amazon started using its own custom QR Codes—Amazon SmileCodes—to give offers to its customers. These SmileCodes can only be scanned using the Amazon app. One can find them on delivery packaging of products ordered from Amazon. Why stick to the conventional route of printing QR Codes on packaging or print media? Marketers can grab customer attention by creating a giant, scannable QR Code. You could use flowers, colors, paper, plants, etc., to create a unique QR Code. One such example is soon to be set in the island nation of Tuvalu. 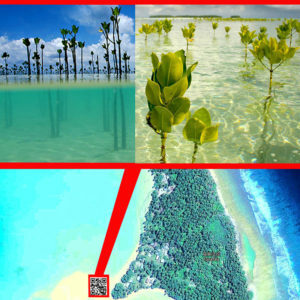 Vincent Huang, a Taiwanese artist, is set to create a QR Code mangrove on the island. This is raise awareness on how climate change is affecting the island. On scanning, the QR Code will lead to a page listing the ill effects of climate change. 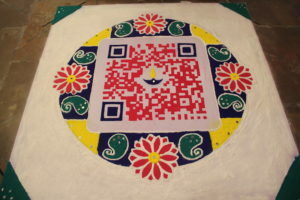 Scanova’s team created the first ever QR Rangoli, to wish its customers on Diwali. Scanning the QR Code lead to a page with festive wishes and a discount coupon. Like I said, these are just a few ways on engaging your customers. Depending on what content you want to show your audience, there are 23 types of QR Codes you can create. If you have a business, you know how important it is to have reviews for your company/business on Google. Your potential customers use these reviews to decide whether they’ll buy your services or not. But getting your customers to review your services is not that easy. They’ve to follow a series of steps to submit their review. Hence, most of them simply don’t do it. If you make it easy for them to submit their reviews, you might end up improving your rankings and see an increase in sales. A google Review QR Code is what you need here. When scanned, it redirects customers directly to the review page for your business. Tracking a success of a campaign is necessary for further optimization. Especially for a marketer. The good news is that QR Code advertising campaigns can be tracked easily. All you need to ensure is that the QR Code Management tool you are using allows you to create Dynamic QR Codes and has QR Code tracking feature. A lot of marketers are already using QR Codes in their campaigns. So, get started today and add the dimension of QR Code Marketing to your existing print media and outdoor campaigns. Create a visually-appealing and dynamic QR Code for your print media advertising campaigns.